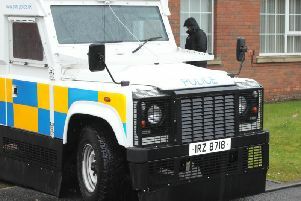 A pre-sentence report was ordered last Wednesday at Craigavon Magistrates Court after a 31-year-old man admitted motoring offences. Mark Gilmore, Lakelands, Craigavon, is accused of driving while disqualified on October 9 this year at Gilpin Mews, Lurgan. He is further charged with taking a vehicle without the consent of the owner and not having insurance on the same date. His solicitor, Mr Conor Downey, indicated there were to be pleas of guilty to all three charges. District Judge, Mrs Bernie Kelly, said in light of Gilmore’s record she would need a pre-sentence report. She adjourned the case until December 12 to get a report.